A healthy heart means a healthy you! We at the Institute of Heart, consider it as our responsibility to offer the most advanced heart treatments at Jaypee Hospital. This branch of cardiology requires specialist training accurate diagnosis and treatment as it specifically deals with the catheter based treatment of non-coronary heart defects. 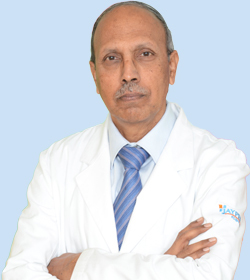 The team consists of experts that are well versed in non-invasive diagnostic techniques and use nuclear cardiology, echocardiography, cardiac electrophysiology, CT scans and cardiac monitors. We offer advanced Health Checkups that include a comprehensive set of tests providing complete information of your cardiovascular system. It is the specialist emergency centre, supervised by the best of our cardiologists. The team works round the clock to ensure the proper patients care and faster treatment. The centre is equipped with the control mechanisms and technology that helps the specialist cardiologists for proper patient care. This division work with an aim to spread awareness and curb the possibility of heart disease in an individual. The team of doctors, nurses, exercise physiologists, a dietitian and a psychologist, together offer complete service to patients with high risk of developing cardio disorders. Cardiac rehabilitation is yet another service provided by the team. This includes a holistic approach to get the cardiac patients back to normal life. The team provides a complete care routine to improve the health of patients with heart disease or those that are recovering from a heart attack or have had a heart surgery. Cardiac rehab is very important for patients who had a heart transplant, angioplasty or stenting, stable angina or have had a placement of a ventricular assist device (VAD). The rehab is carried out under full medical supervision and the heart functioning is monitored. Heart disease has gripped the country today, and at Jaypee we work together to deliver a holistic care for your heart. Cardiology comprises of a full range of healthcare services for inpatients and outpatients. The division takes pride in its team of super specialists that come with rich experience of the domain and drive excellence. The state-of-the art facility and technology support helps is faster treatment and recovery. Our comprehensive approach ensures that the patients and families get the support they need. Our super-specialty division of Paediatric Cardiology has full time dedicated and exclusive team of Paediatric Cardiologists who come with an exhaustive experience in the domain and deliver focused care to a child with cardiac problems. The team is adept in all form of cardiological diagnosis and interventions to benefit children with cardiac disorders. The centre also has a facility for prenatal detection of congenital heart defects and is equipped to such cases. We offer services to perform complex range of paediatric interventions that include various congenital heart defects for various age groups of children including the newborns. Innovative technology, treatment at the hands of experts and the personalized care by the support staff gives the patients and their families the assurance of best patient care for Indians and Foreign Nationals. Jaypee Hospital has always been a pioneer in adopting new technology and innovation to render the best healthcare in India. Interventions using Electrophysiology focuses on your heart's electrical system and on diagnosing and treating irregular heartbeats or arrhythmias. It also includes the best-in-class diagnostic tests and mapping systems. The team that manages this service performs all sorts of cardiac device implants like pacemakers, CRT, Defibrillators (ICDs) etc. 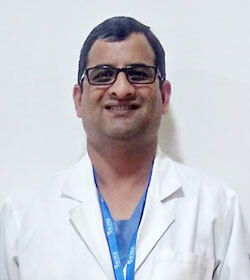 They are the hear-beat specialists and ensure good care and functioning of your heart. Undertaken and supervised by the best of Cardiac Surgeons, Jaypee hospital is known to have treated numerous patients above the age of 18 years. This service revolves around the surgery on the heart and the large blood vessels in the chest and is most often done to treat complications arising out of heart disorders. We have treated patients from India and foreign nationals with our expert surgical care and rehab programme. Under Adult Cardiac Surgery, the services include coronary artery bypass, valve surgery, aneurysm surgery, congenital heart surgery, myectomy/myotomy etc. This division performs surgeries related to children and new-born with congenital heart defects. 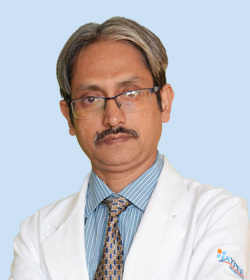 Paediatric cardiac surgery is quite complex and at Jaypee Hospital the surgeons, cardiologists and anesthesiologists that conduct these surgeries are super-specialists and their support staff is well-trained. Our little patients require the most meticulous care and we ensure that comprehensive treatment along with personal care is provided to children suffering with any kind of heart defects. 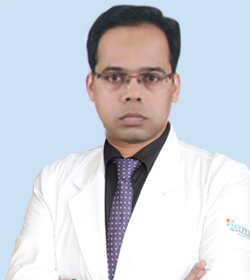 Commonly surgeries are performed for closure of holes in the heart, valve repair etc. Innovative tech and knowledge helps us in the accurate diagnosis and post surgery rehab. At Jaypee, we are focused to improve patient outcome with the help of new technologies right from diagnosis and treatment to medical management of disease alongwith an environment that supports faster recovery. Vascular surgery is one such service, where the team provides comprehensive vascular care for patients with peripheral circulatory disease. Our team specializes in open, hybrid, and minimally invasive endovascular procedures for treatment of blocked arteries, blood clots, varicose veins, aneurysms and defect in circulatory system that compromises blood flow to the brain, intestines, and kidneys. The team works in tandem with other super-specialists to offer multidisciplinary care, critically evaluate treatment procedures and deliver individualized care to the patients. 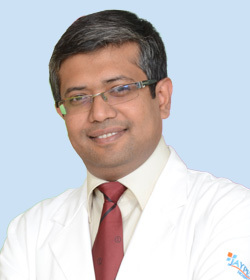 With a multi-disciplinary approach to the transplant procedure, we provide consultative & surgical services for patients with diagnosis of heart failure, advanced heart failure or people with highly complex heart failure. It is a comprehensive and holistic treatment that involves pre and post transplant care and a complete rehab programme to assist patients in returning to normal life and increasing the functioning capacity of their heart. Technology plays a critical role in this service, and we have never shied from adopting the best in class tech and facility equipments that can help us deliver best patient care. 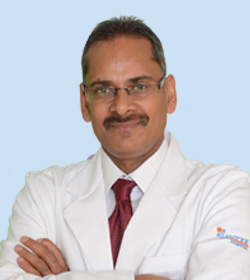 The Hospital is equipped with single plane and biplane interventional cath labs with unique clarity platform, which is the first of its kind in the country. Four Cath labs with Clarity Platform FD 10 and FD 20 with EP Study facility having features that lead to considerable radiation dose reduction (by almost 45-55%) in coronary studies. Twice the information with a single contrast injection, critical for paediatric examinations. 64 channel EP lab for precise electrophysiology procedures including RF ablation & Pacemaker. State-of-the-art Hybrid OT combines the functionality of a Cath Lab and Modular OT that houses all equipments and monitoring devices necessary to perform Percutaneous Valve Surgeries, Complex Hybrid Aortic Aneurysm Interventions and Minimally Invasive Cardiac Services. Biplane Cath Lab with Fractional Flow Reserve (FFR): Flat Panel Combo Cath Lab with 3D reconstruction and DSA, capability of performing interventional procedures in less time, along with less usage of contrast in neurovascular interventional studies. Four Dedicated Cardiac OTs well equipped with Heart Lung Machines, Hypothermia Machine, and Ultrasound with an intra-operative probe, ACT machine, Cell Saver Unit, and Advanced Micro Vascular instruments.